For a luxury stay in Southeast Asia, most look to well-established Thailand or Bali. But, in Indochina, chic city-view hotels, exclusive lodges and high-end beach resorts have been quietly refining themselves. 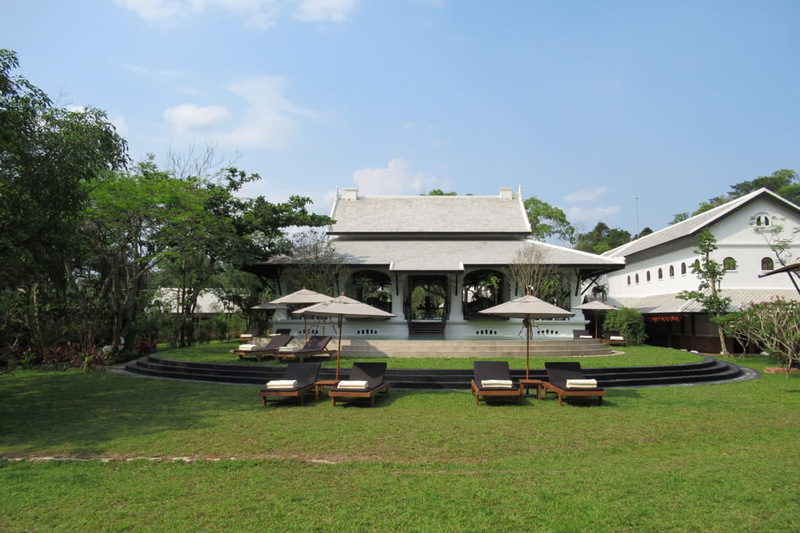 Audley specialists have selected the best, from lavish tents in Northern Laos to five-star suites on the Mekong. 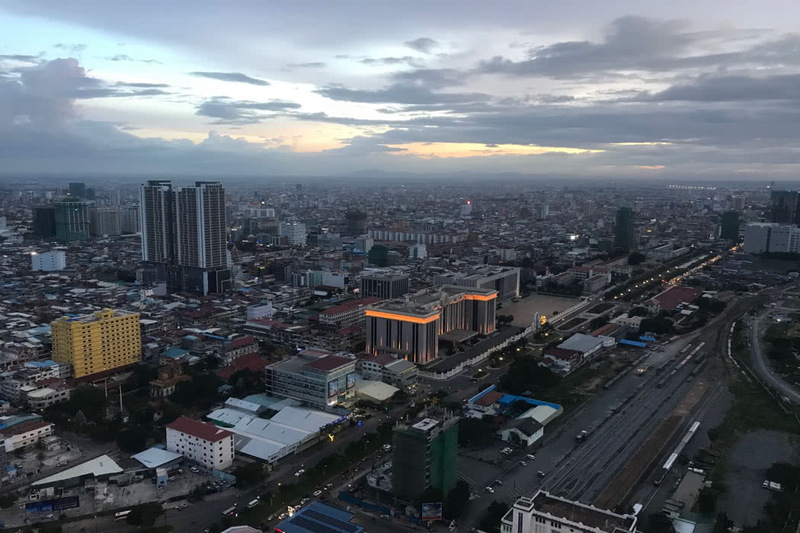 The gleaming Vattanac Capital Tower, which stands head and shoulders above the rest of Phnom Penh, has become a symbol of modern Cambodia. Rosewood Phnom Penh occupies the top 14 floors, with floor-to-ceiling windows that look out across the city. 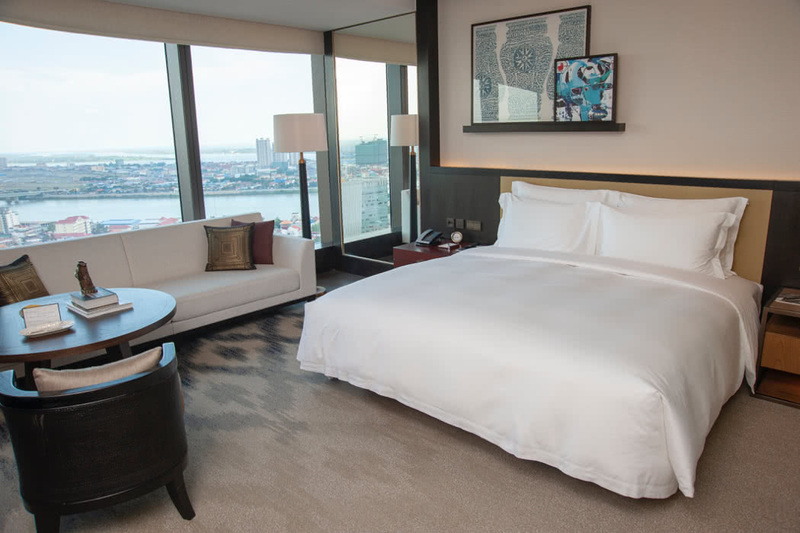 The premier rooms face the thick curve of the Tonle Sap River but in reality, there isn’t a bad view, especially at night when everything from the 14th-century Wat Phnom to the Canada Bank Tower is cheerfully illuminated. The rooms and suites are furnished with every modern gadget you might like, as well as a series of specially commissioned artworks. The top-quality finish makes them arguably the best rooms in the city. The highlight of the hotel is Sora, a skybar perched on a terrace that juts out from the 37th floor, where you can enjoy a handcrafted cocktail (the bartenders can really muddle, shake and blend) and the best sunset views in the city. From afar, the Amanoi’s collection of teal-grey tiered roofs look like a lost Vietnamese city, tucked amidst the frothy jungle of Nui Chua National Park. Look a little closer and you’ll see that these villas and pavilions are, arguably, some of the most luxurious in Vietnam. The pared-back elegance typical of the Aman brand has been fused with traditional Vietnamese latticed windows, rosewood floors and Buddhist motifs. The cliff-top location offers views across the indigo waters below and a short golf buggy ride down to the shoreline reveals a sheltered curve of squeaky-soft sand. 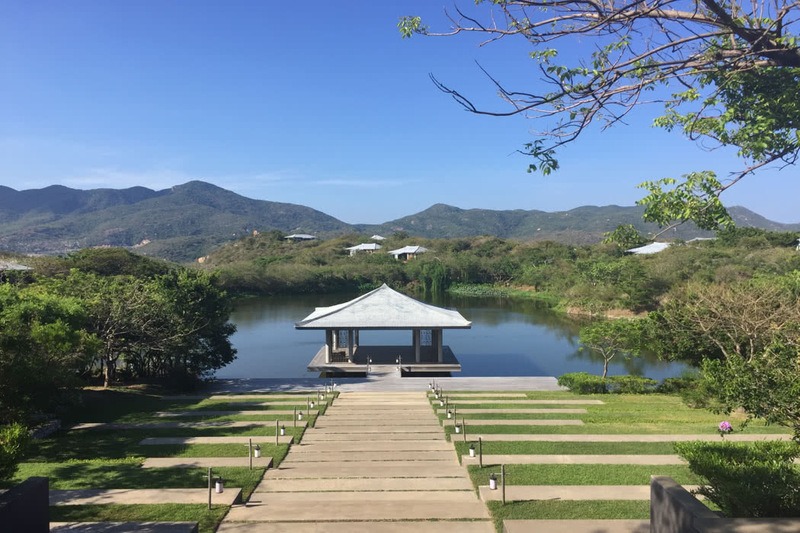 Though it’s predominately a beach resort, Amanoi’s highlight is the spa, which is built around a lotus flower-filled lake. Treatments focus on the use of local herbs, rice and coffee and the yoga pavilion looks like it’s been specifically designed for the perfect photo opportunity. Laos’ cultural capital, Luang Prabang has long drawn visitors with its mix of USECO-protected temples and French colonial architecture but, until recently, the city hasn’t had many options for a luxurious stay. However, the new Rosewood opened this year and now you can bask in the comfort of a riverside suite or hilltop luxury tent, surrounded by groves of trees with views across the city spires. The architecture fuses traditional Laotian design with a 19th-century-colonial-explorer feel, with a profusion of balconies and lots of outdoor living spaces that make the most of the surroundings. The open-air Great House Restaurant embraces regional specialities with a daily-changing menu dictated by the product available at the local farmers market. The mok pou, minced crab steamed in a banana leaf, is particularly good. The Mekong Delta is a waterworld of fish farms, floating markets and stilted villages. Bright blue fishing vessels prowl the delta, keeping lookout with eyes painted on their prows. 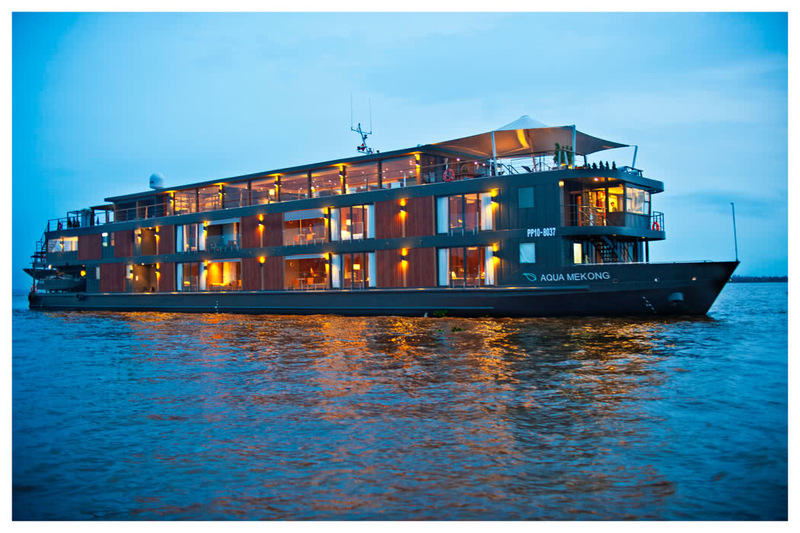 You’ll need to be afloat to explore the area and, on board the Aqua Mekong, you can do so in comfort. 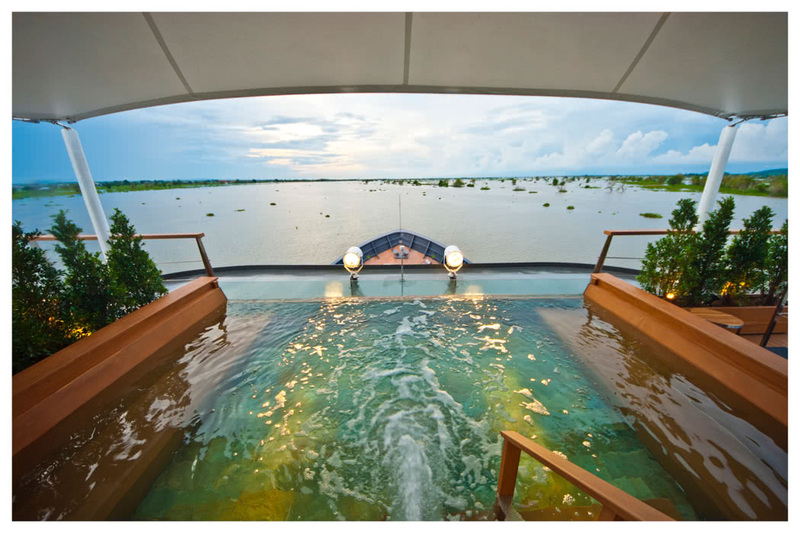 In fact, you can watch water buffalo graze on the riverbanks from the observation deck’s plunge pool. The suites (there are only 20) have the finesse of a luxury hotel, with polished wooden flooring, a gleaming en suite and enough space for two people to comfortably wander around the bed. Although, with floor-to-ceiling glass windows, you won’t forget you’re on the water. There’s also a spa, library and cinema on board, although the real highlights are off the vessel, where you can explore the surrounding riverbanks by bike or take a kayak into some of the smaller waterways. Cruises range from three to seven nights, departing from Phnom Penh. Muang La Lodge doesn’t have quite the same refinements as the other hotels on this list but it’s difficult to beat its location, perched on the banks of the Nam Phak River in the tiny Laotian village of Muang La. Just ten wooden, stilted villas look out through the boughs of the surrounding rosewood trees. 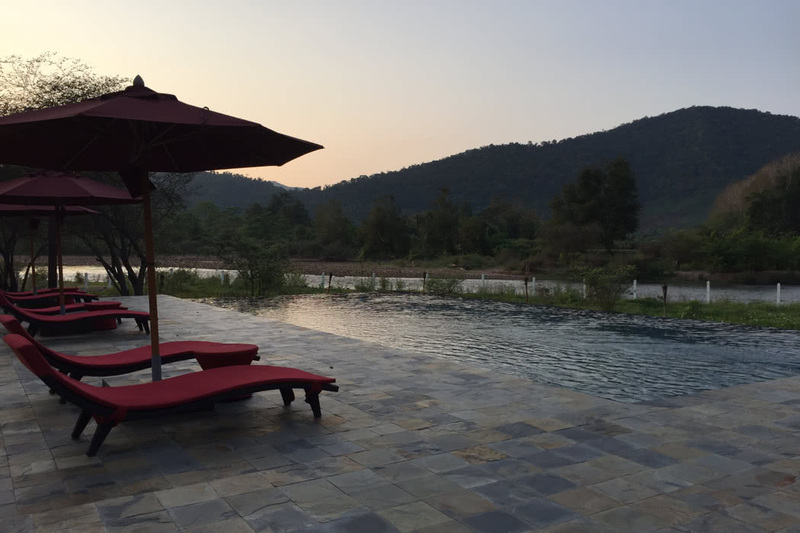 With no televisions or Wi-Fi, you’re encouraged to see Muang La as a tranquil escape — it’s the only hotel on this stretch of the river. By day you can relax by the pool, which is on its own private island, or bathe in natural hot springs. In the evening you can sit atop the sala (a pavilion traditionally used to shelter passing visitors) with an aperitif and watch the sun set over the surrounding hills. These hills are the home of a number of minority ethnic tribes, who you can visit by guided hike or 4×4. You’ll arrive at Six Senses Ninh Van Bay by speedboat, although until you see the private wooden jetty, it’s a little difficult to spot. Many hotels aim to blend into their surroundings but Six Senses has pulled out all the stops, building a series of villas up, in, and around the tumble of palm-fringed boulders that curve around a postcard-perfect beach. Build from natural materials, each villa has a thatched roof, hand-crafted wooden furniture and a plunge pool (some carved right into the rock). Once you’re settled on your cunningly designed private deck, it feels like you’re on your own private island. Some roll right out into the beach while others (designed for the rather fit) are high up on the hillside with prime views right across Ninh Van Bay’s craggy peninsula. This is the sort of place where guests luxuriate in their own private space, but if you do leave the confines of your villa, you’ll find pretty much every activity you could want for. There’s an opportunity to be pampered around every corner from the spa (which serves the best ginger juice we’ve tried) to the complimentary ice cream station. Even the free-range chickens are pampered with a carefully selected playlist of soothing jazz.